With no European trips to offer an exotic curtain raiser, the team warmed up with trips against Morton and Dumbarton before returning to Fir Park for Stephen Craigan's testimonial game against Partick Thistle then Leeds United. 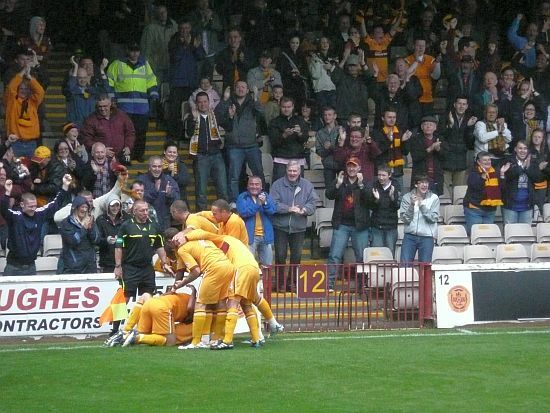 When Inverness arrived for the opener in the third week of July, Michael Higdon and Nicky Law were the new faces in claret and amber and they were soon to be joined by Tim Clancy and Omar Daley. We had a spectacular start. Wins against St Mirren and Hearts and a draw at Rugby Park followed (all without the loss of a goal) and Motherwell were top of the league after four games. A warm August evening saw Fir Park host the opening ceremony of the 2011 International Children's Games. The thousands who filled the stands enjoyed a colourful pageant as the competitors paraded and hundreds participated in the entertainment. MFCTV made its long heralded debut with a mix of behind the scenes videos, match highlights and live match commentaries. Behind the scenes preparations for the launch of the Well Society continued but on the pitch the team built a reputation for strong performances, especially away from home. Following a defeat to Rangers we made the short trip to Broadwood where Higdon started a goal fest in the League Cup tie. The striker was to rack up 9 goals by mid season (almost one every two outings). 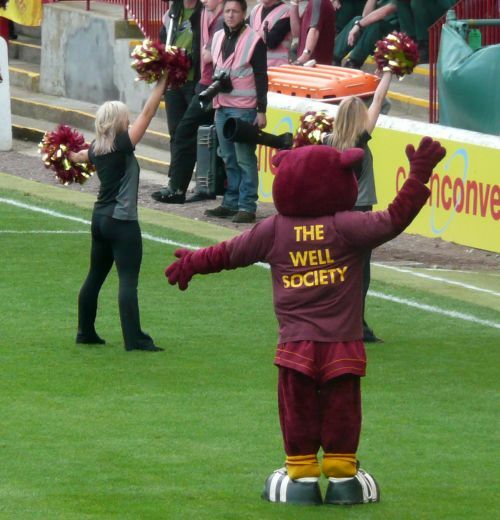 Fir Park was enlivened by the East Stand boys who maintained a loud and colourful backdrop to matches home and away. Both the players and the media acknowledged their contribution to the atmosphere. There was a blip in September when we suffered back to back losses against Celtic and St Johnstone (the low point in the first half of the 2011/12 season) and then we lost the penalty shootout against Hibs and our interest in the League Cup ended. The recovery was dramatic. Four wins and a draw had us level on points with Celtic after 15 games. Keith Lasley started to feature on the scorers' list, his rocket in Inverness perhaps the best of the four strikes before the year's end. Steve Jennings continued to bolster the midfield despite the distraction of an arrest in October, many months after hints of a betting scam. Stephen Hughes was given the opportunity of training with the team and eventually signed on for a few weeks. The fans' memorial to Phil O'Donnell was unveiled before November's game against Dundee United. The Supporters Trust organised the ceremony that was attended by hundreds of Motherwell fans together with invited guests and members of the O'Donnell family. The cub embraced the SPL's Friday Football experiment and, with the help of slashed admission prices, more than 7,000 turned up despite the weather for the visit of Hibs early in December. Unfortunately, the game was abandoned at half time following an electrical fault and fire. What turned out to be the final game of the year was to be a poor loss at Tynecastle. The opportunity for the team to give us a holiday boost before the new Year celebrations was foiled by powerful winds causing some damage to the stadium. Motherwell looked forward to the second half of the season in good shape. We were going well on the park, still third in the league as 2011 ended, and the Well Society had started its recruitment drive. There was a Scottish Cup tie (v Queen's Park at home!) to anticipate and the fans were happy.